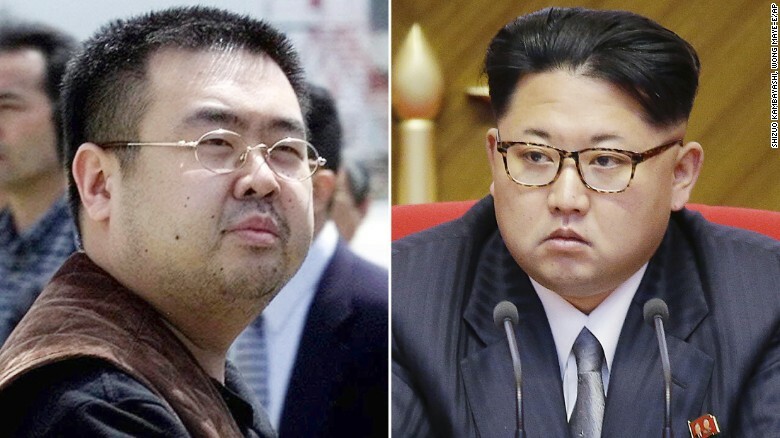 Malaysian police are looking for four more suspects, all of them North Korean, in connection with the mysterious death of Kim Jong Nam, the estranged half brother of North Korean leader Kim Jong Un, CNN reports. Authorities said they are treating the incident as a murder case.Top police official Noor Rashid Ibrahim addressed reporters in Kuala Lumpur on Sunday. When asked whether Malaysian authorities thought Kim's death had been ordered by the North Korean regime, he said only that "the four hold North Korean nationality, that is all." Ibrahim said the suspects do not not hold diplomatic passports. Kim Jong Nam was on his way to catch a flight Monday morning to see his family in Macau when he died. Police say he was sprayed with poison as he waited to board the flight at Kuala Lumpur International Airport. Authorities have arrested four suspects in Kim's death. Ibrahim said the four North Korean suspects now sought had left Malaysia the same day of the attack. Police are also looking for three other people to assist in the investigation. Interpol is assisting in the search. North Korean Ri Jong Chol was arrested Friday at an apartment in Selangor, Malaysia, police said, though they did not give any further details. A woman carrying a Vietnamese ID was arrested, along with a 25-year-old Indonesian woman, Siti Aisyah. Aisyah thought she was participating in a television prank show when she squirted liquid in the victim's face, Indonesian police said. One of two women was seen on airport surveillance video wearing a shirt with the letters "LOL" -- laughing out loud -- emblazoned across the front. Aisyah said she was unaware it was an assassination attempt by alleged foreign agents, Indonesian police chief Tito Karnavian told reporters. Karnavian said she told police she was given a few dollars to carry out the act. "She was used but she didn't know what it was for." he said. Indonesia's request to obtain consular access to Aisyah has not been granted, the Indonesian Foreign Ministry said in a statement. Malaysian Code of Criminal Procedure stipulates that suspects cannot be visited by anyone during the investigation process. Aisyah and the other suspects were part of a crime reenactment at the airport Friday, according to the statement. Aisyah's boyfriend, a 26-year-old Malaysian man, was also arrested in Selangor. 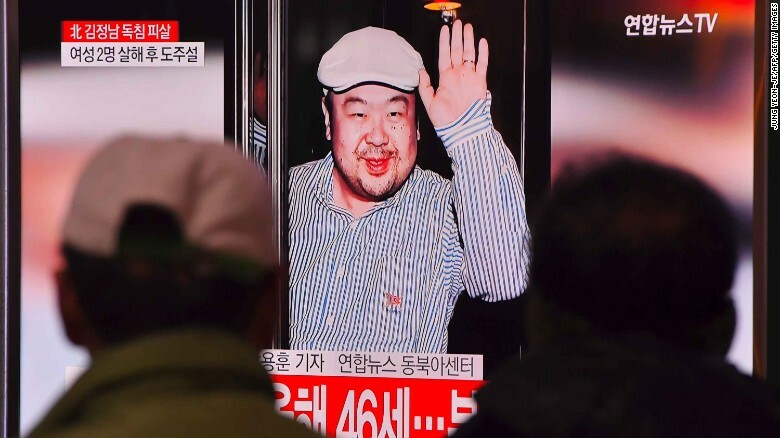 The events leading up to his death are sketchy, but Selangor State Criminal Investigations Department Chief Fadzil Ahmat told Reuters that Kim "felt like someone grabbed or held his face from behind." Kim felt dizzy and immediately went to an airport customer assistance counter to seek medical help. They were concerned enough to take him to a clinic on the premises. An ambulance was called to take Kim to the hospital, but he died on the way. Kim had lived in Macau, a Chinese territory and popular gambling destination, since his departure from North Korea years ago. Malaysian police have declined to release his body to North Korea without DNA from next of kin.